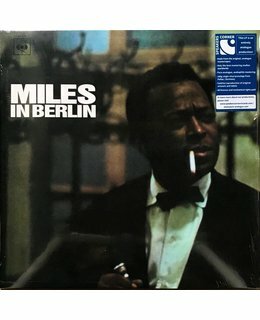 2017 EU reissue on MONO 180g LP= This Speakers Corner LP was remastered using pure analogue components only, from the master tapes through to the cutting head. 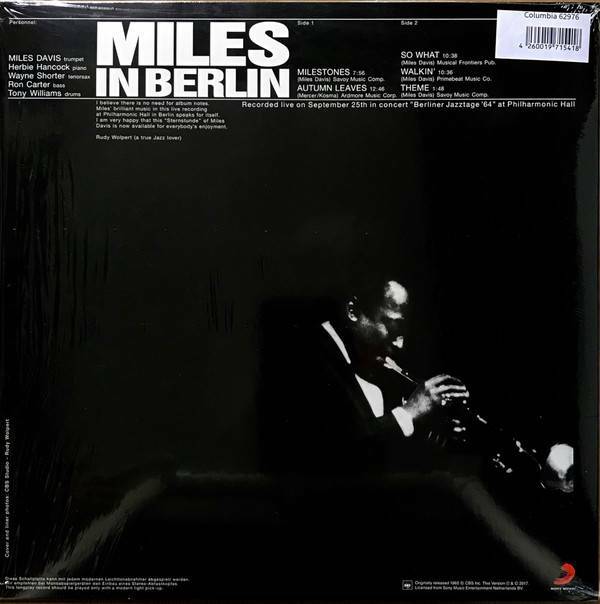 Recorded live in Germany at the Berlin Philharmonic, Miles in Berlin represents the first recording of trumpeter Miles Davis with tenor saxophonist Wayne Shorter. For various reasons, saxophonists George Coleman and Sam Rivers had both come and gone as members of Davis' band. 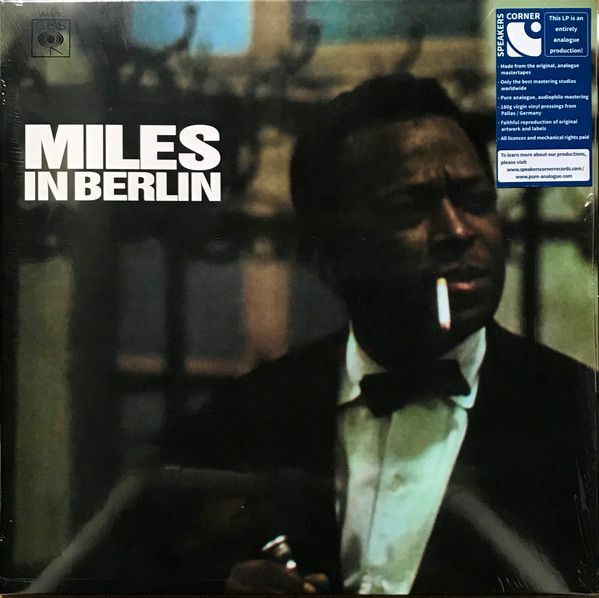 With the addition of Shorter in 1964, Davis had found the lineup of musicians that he would stick with until 1968 and produce some of the most influential albums of his career -- collected on The Miles Davis Quintet, 1965-68: The Complete Columbia Studio. 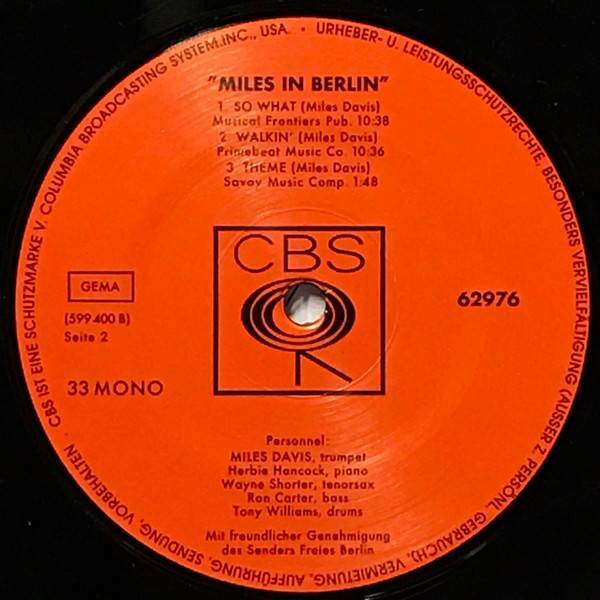 Eventually known as the "second great quintet," most of the players here, including pianist Herbie Hancock, bassist Ron Carter, and drummer Tony Williams, had been with Davis for just under a year. In that time, they had taken his traditional repertoire of standards and originals and reworked them with a more adventurous, edgy approach that flirted with the avant-garde. 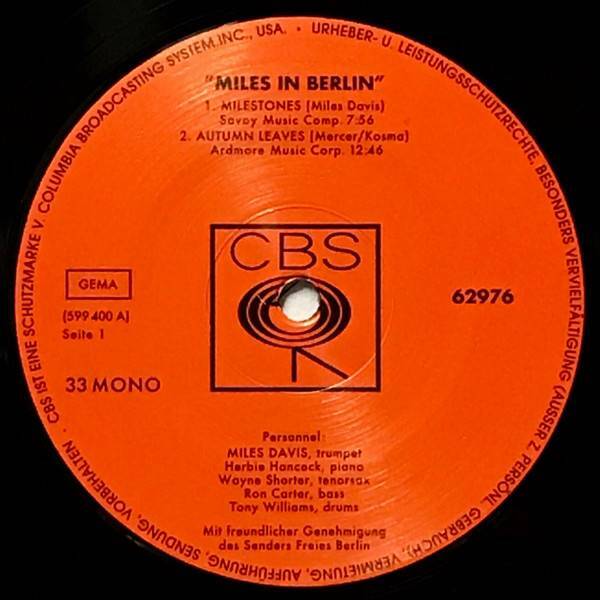 While there isn't a huge difference in the sound of this band or choice of songs from the group that recorded Seven Steps to Heaven or Miles Davis in Europe, there is a palpable sense of creative abandon in Davis' performance as well as synergy to the group sound that seems to foreshadow the innovative music to come.